I’m now part of the PS3 revolution! I finally got one! 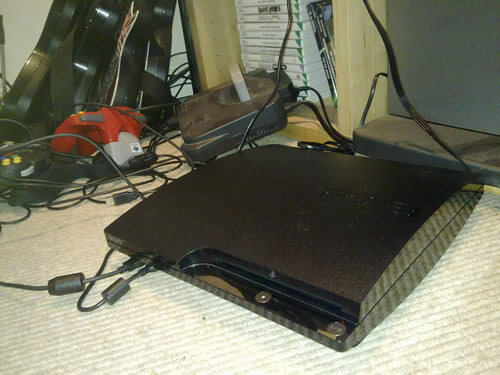 My very own PlayStation 3!! Wooo!!!! It’s the 320Gb slim model, and I got a couple of games with it as well: Gran Turismo 5, Gran Theft Auto 4 Collection, and the PlayStation Move Starter Pack. The graphics and everything are fantastic, and this is going through a standard definition television as well! I need a HD telly now haha! Take a peek at the picture… Is that a Nintendo 64 in the background?